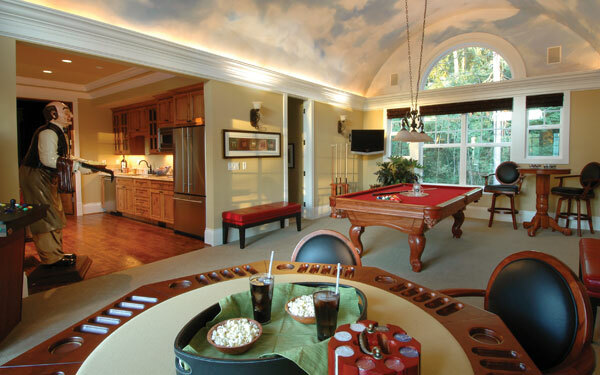 Game rooms have evolved over the years, now becoming a sought-after space in the home for gathering family and friends. 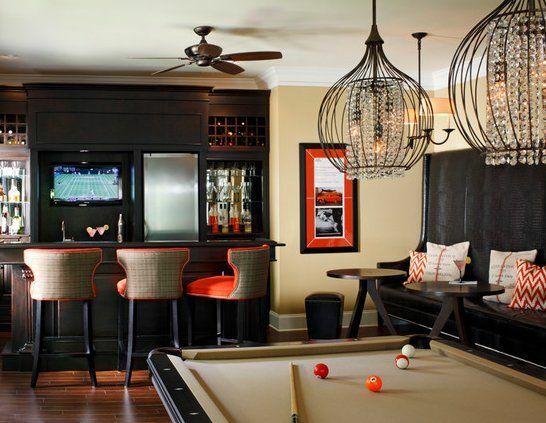 Instead of just creating a ho-hum space with a pool table, game table and maybe a bar area, let’s explore some unique and stylish game rooms to inspire you to create a little something more. 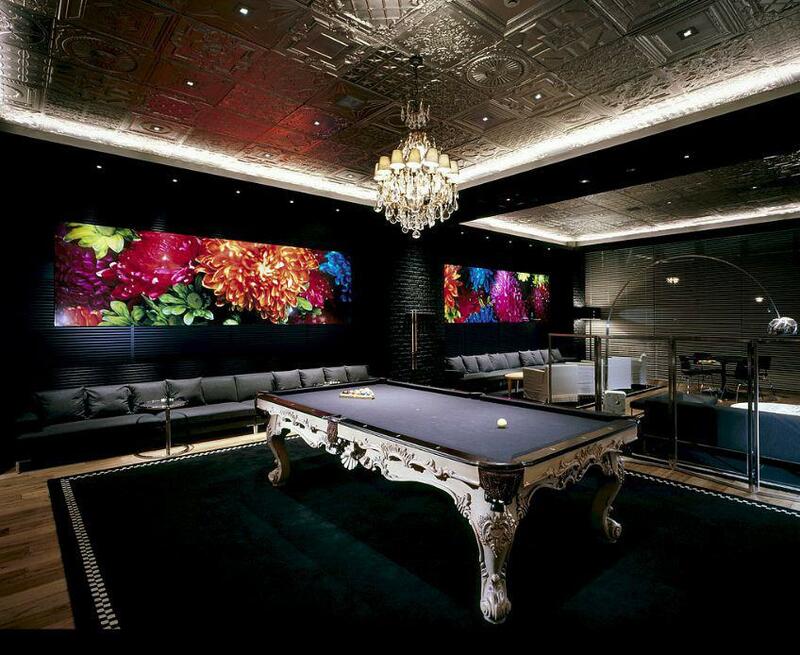 Glam it up with a luster finish on the ceiling and a modern pool table with a crystal light fixture above. 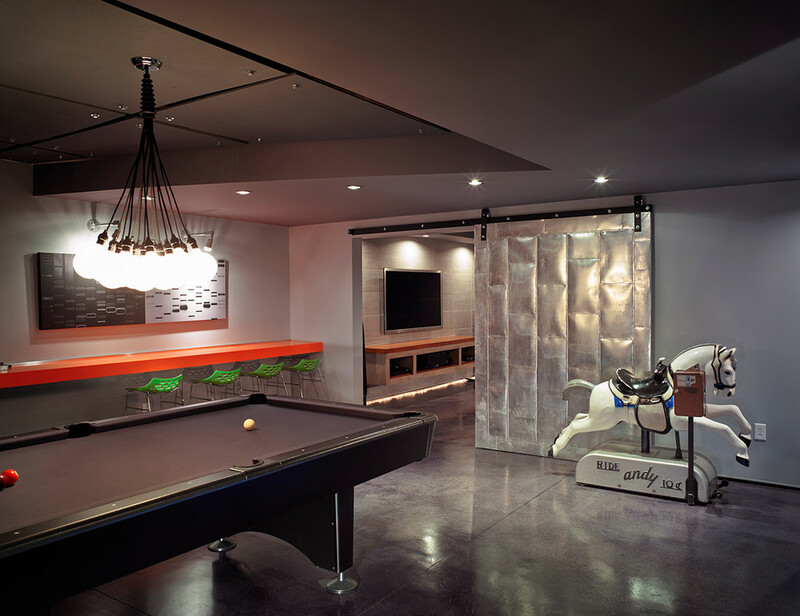 Design the space so that it flows with the rest of the home and you can incorporate it into an unused room if you don’t have a dedicated space such as a basement or bonus room. 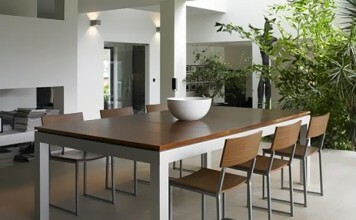 Incorporate a color scheme and use materials that are a bit more refined and elegant. 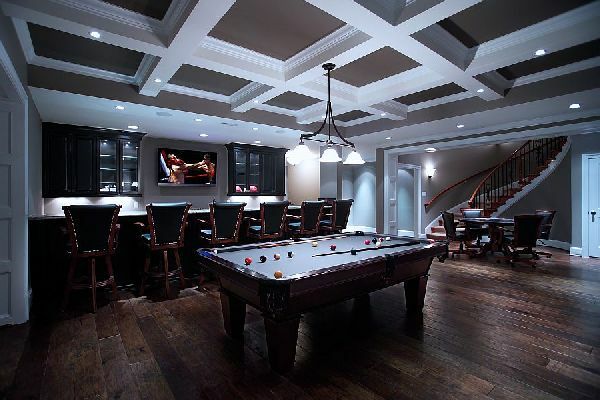 Do something interesting with the architectural features of the room, such as a raised ceiling. 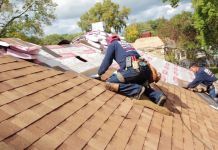 Install decorative molding and accent lighting to highlight these areas. Paint a scene on the ceiling. Give the space a boost with personality. 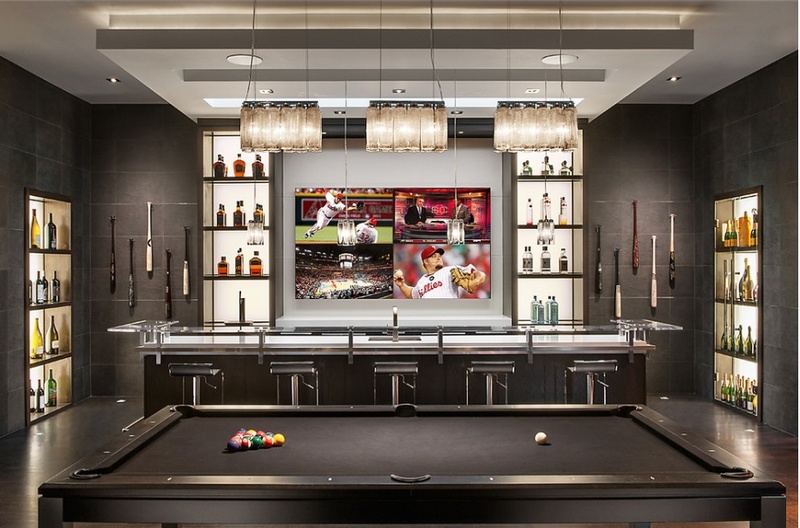 Make sure the room you choose has ample space for playing pool, if that is your intention. 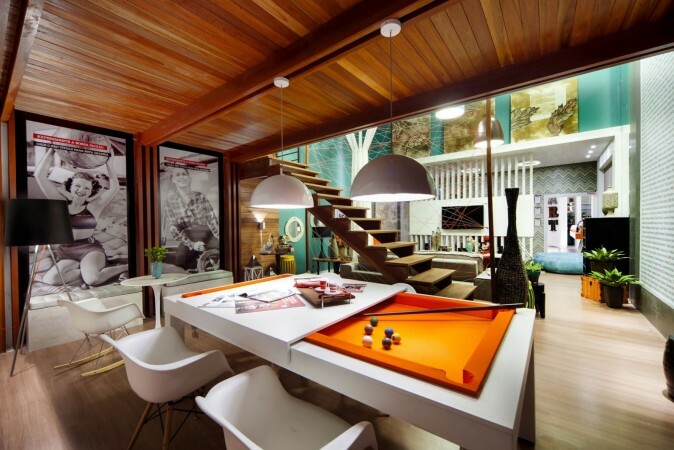 Placing the pool table in the center and other games or seating around the perimeter of the room opens up the space. 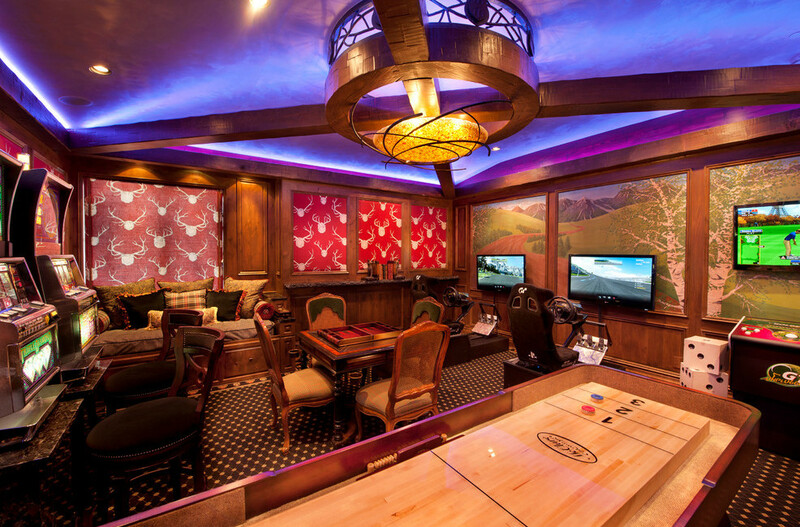 Dramatic lighting, unique wall treatments and comfortable seating make the game room more luxurious. 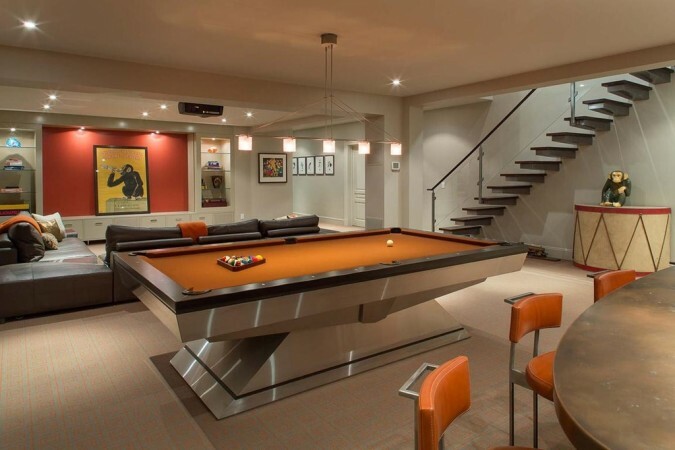 Nothing upgrades a game room quite like a unique pool table that makes a bold statement. If the pool table is the centerpiece of your game room, make it stand out and demand notice. 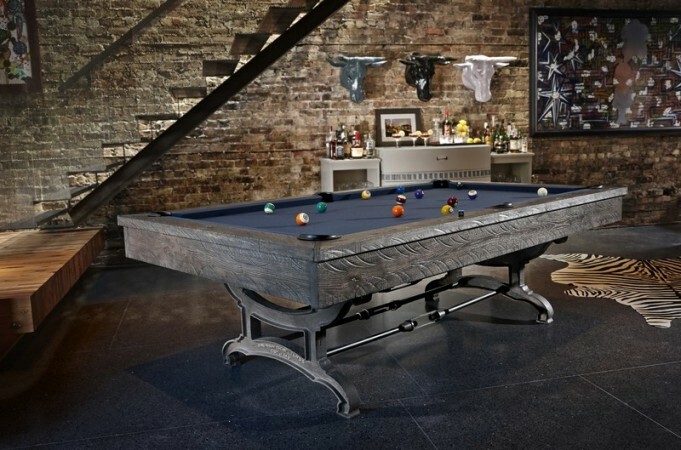 Invest in a pool table that speaks to you as any piece of furniture would. Shop for quality and unique characteristics. 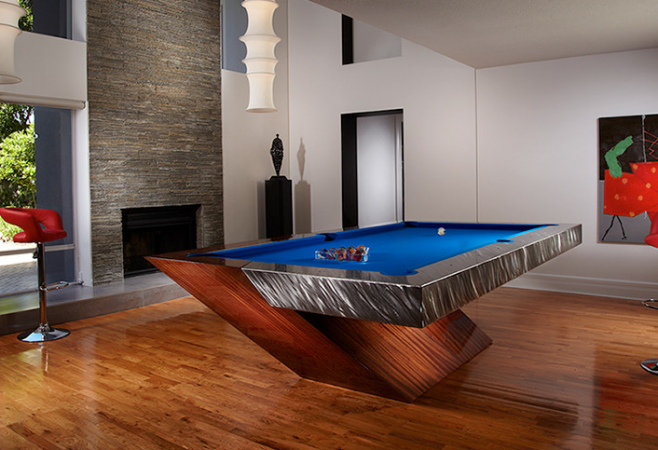 If you do not have a designated space for a game room, try a multi-purpose pool table that can convert into a dining table when not in use. These pieces make it easy to integrate a pool table into the home. 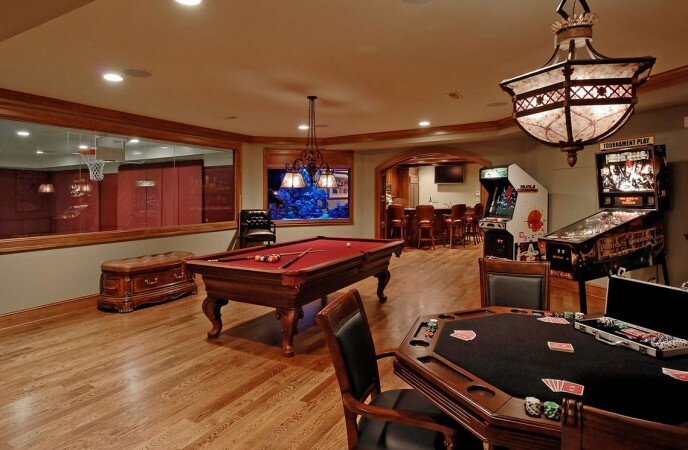 The basement is the tried and true game room space, generally large enough to incorporate multiple areas of entertainment. Make the most of the space by designing a layout ahead of time and designating each area for specific activities, such as playing pool, card games or watching movies and relaxing. 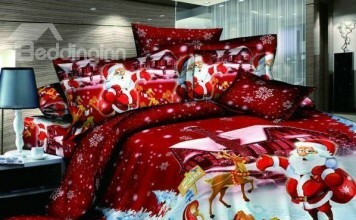 If this is a room in which you will be spending a large amount of time, make it into something special. 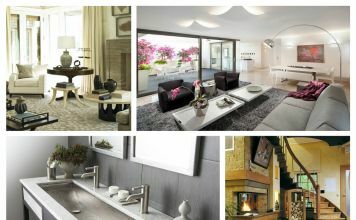 Incorporate nice finishes, flooring and fixtures for a more comfortable space. 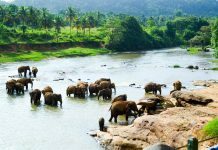 Create a space that is right for you. Splurge on better materials and furnishings that make you feel good. 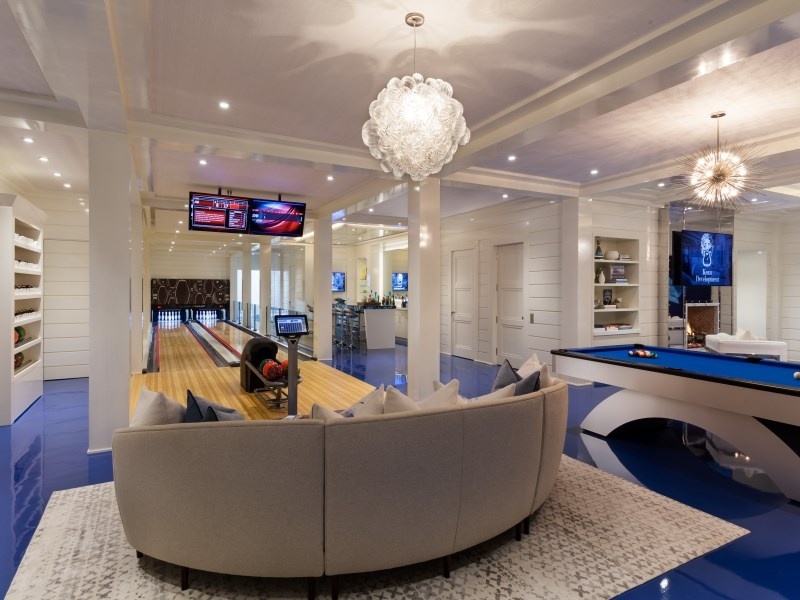 The game room is a space for leisure so make it comfortable and stylish. 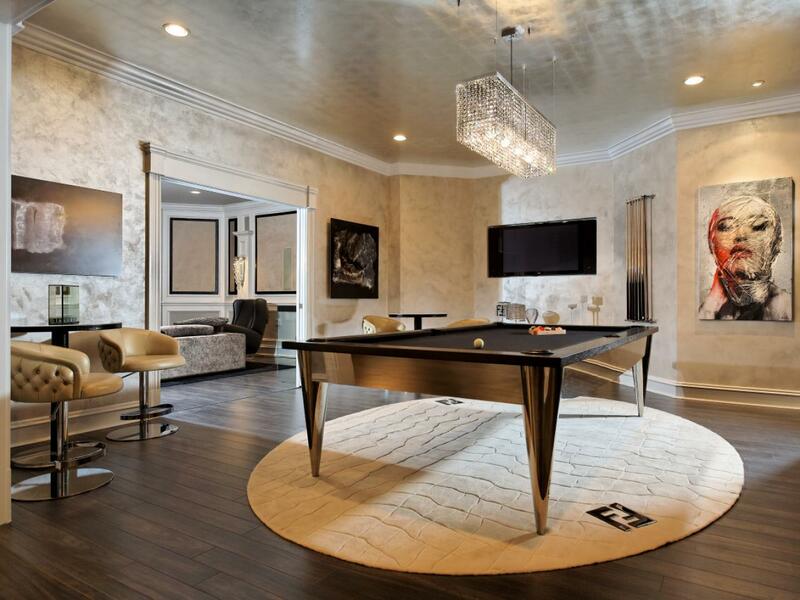 You can create a unique and stylish game room with luxury finishes, a statement pool table and all the amenities for entertaining. Go outside the box and make your game room anything but ordinary.